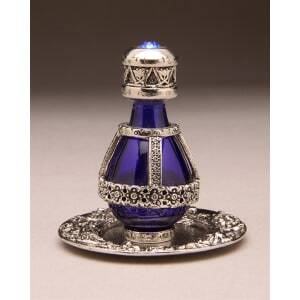 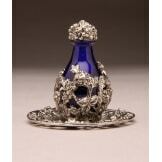 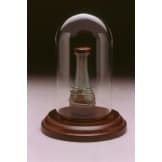 This regal tear bottle is the original design from the Roma line of tear bottles from Timeless Traditions. 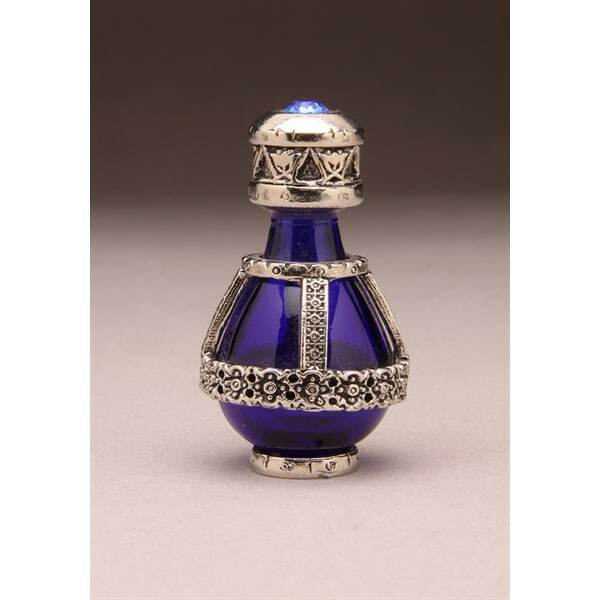 This tear bottle is a touching way to show someone that they are not alone in their tears! 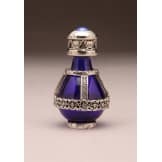 • Antiqued silver plate filigree bands surround the deep cobalt tear-shaped glass bottle and the cap is crowned by a genuine blue Austrian Swarovski® crystal. 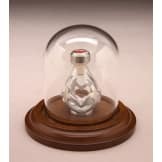 • Our heirloom quality bottles each come with a gift bag and a story card about the tear bottle history, along with a silver solid tray as shown.